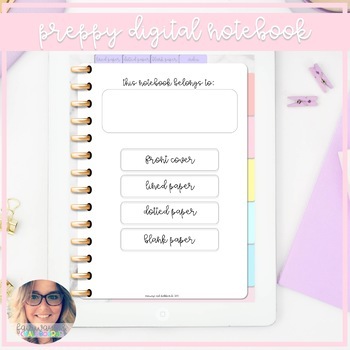 This Preppy Digital Notebook is perfect if you're looking for a chic and easy way to go paperless! There are 10 cover options. There are 5 "sections" for the notebook. This includes blank, lined and dotted pages. 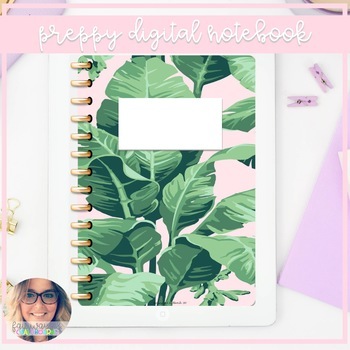 This product works with any digital note taking app! Preppy Teacher Binder: Everything You Need! Preppy Teacher Portfolio - Land Your Dream Job!